Universal Stenciling & Marking Systems, Inc. was established in 1904 under the name Universal Fountain Brush Company. Still under the same family ownership, the company name Universal has become synonymous with excellence in marking products. 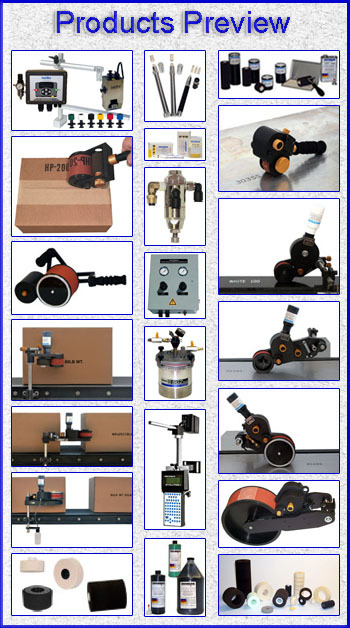 Our Website contains brief descriptive information and photos of our products. Technical Bulletins, Parts Lists, Manuals and MSDS sheets can be downloaded in Adobe Portable Document Format. To use this important feature of our site you must have the freely distributed Adobe Acrobat Reader software installed on your computer. If you do not have Acrobat Reader on your computer, it can be downloaded from Adobe’s website at no cost by clicking the button to the left. PC & Mac versions available.